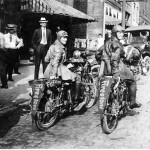 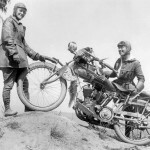 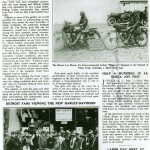 One hundred years ago two sisters were traveling coast to coast on Indian Powerplus motorcycles advocating women’s right to serve as WWI motorcycle messengers. 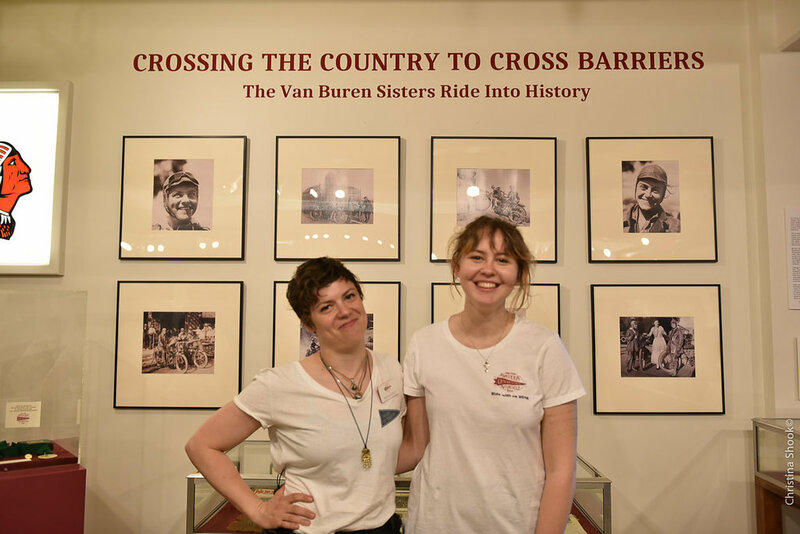 It was 1916 when Augusta and Adeline Van Buren embarked on a journey they had no idea would have such historical significance a century later. 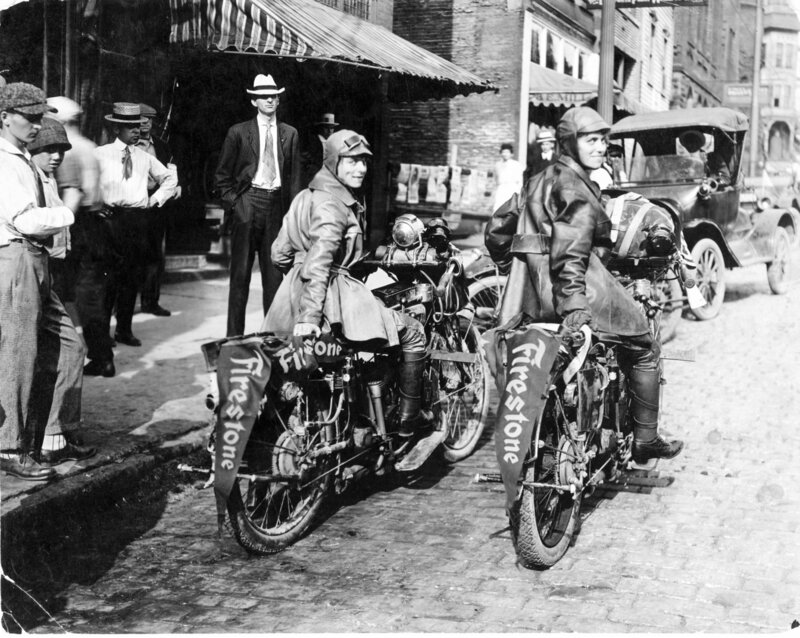 Traveling from New York City to San Francisco, the journey took just over two months to complete, making them the first women to ride motorcycles across the continental United States. 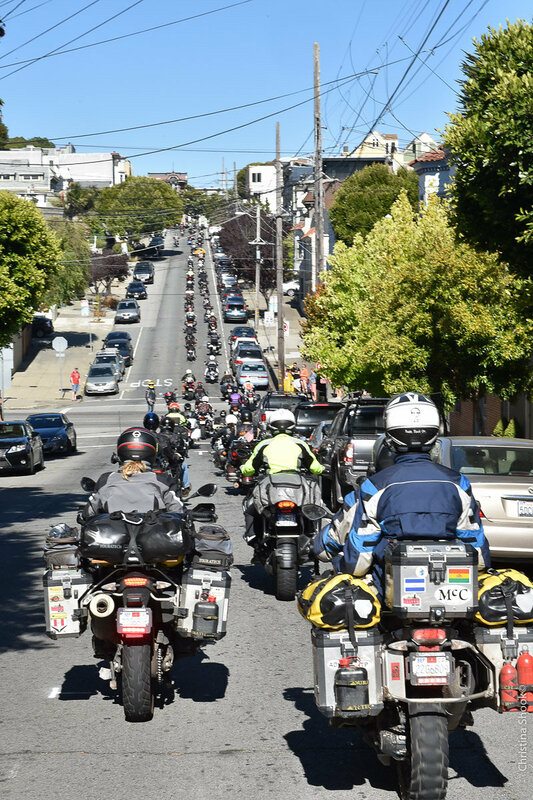 Arriving at their destination on Labor Day weekend, the sisters expected a welcoming by the San Francisco Motorcycle Club (SFMC). 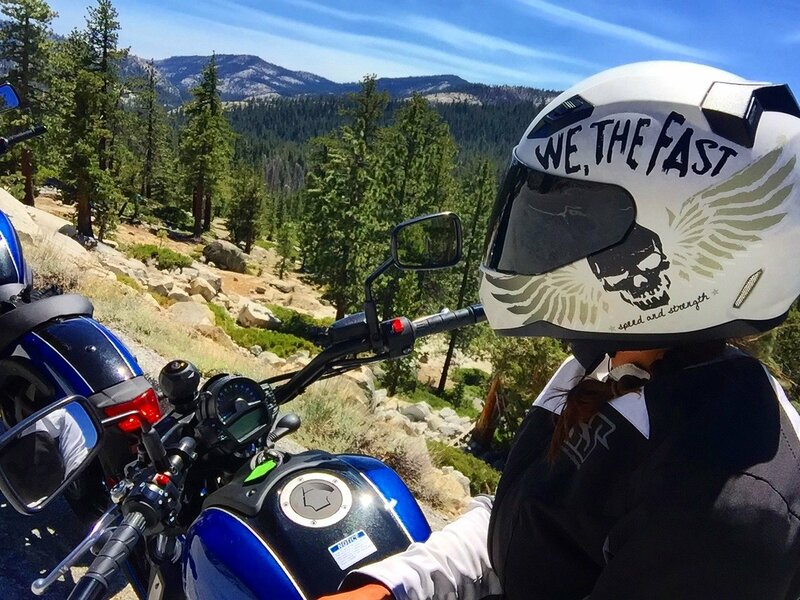 However, they were met with silence. 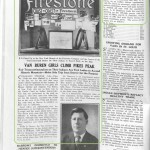 Their displeasure with the not-so-warm welcome was evident from news articles and stories that have been passed along through the decades. 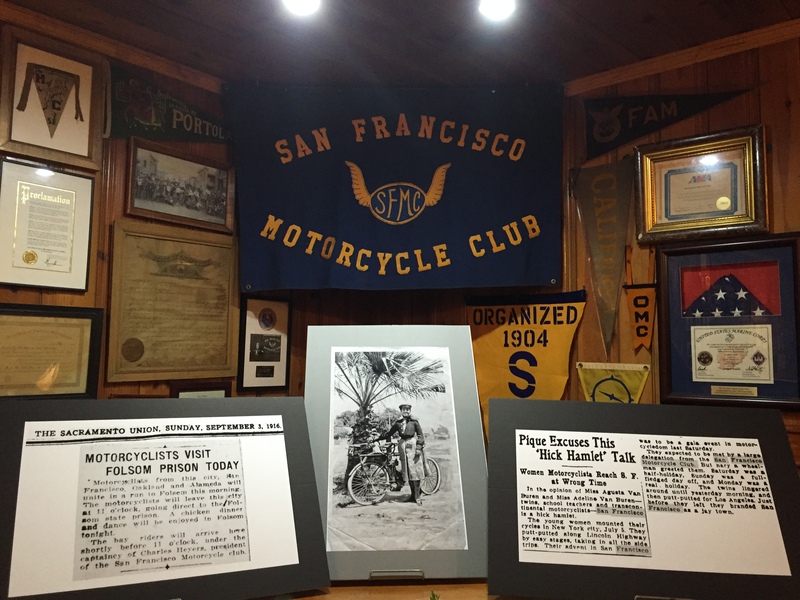 This was referred to as the “one strike” against the SFMC, which is the second-oldest motorcycle club in the United States and is known for granting voting rights to women before they could actually vote in state or federal elections. 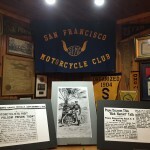 Unfortunately for the Van Burens, the lack of technology and communication devices at that time hindered the ability to clearly indicate their arrival date, and as a result, they arrived on a day that the motorcycle club members were out of town. Fast forward to present day and envision a group of more than 200 women and men arriving in San Francisco to bells, whistles, cheers and big smiles all around. 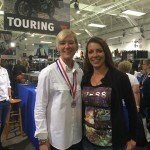 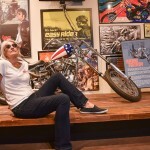 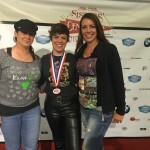 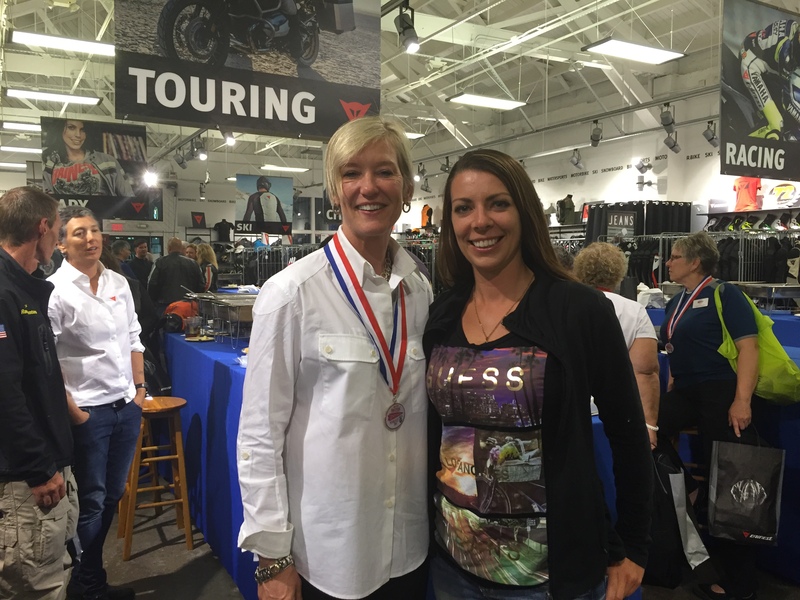 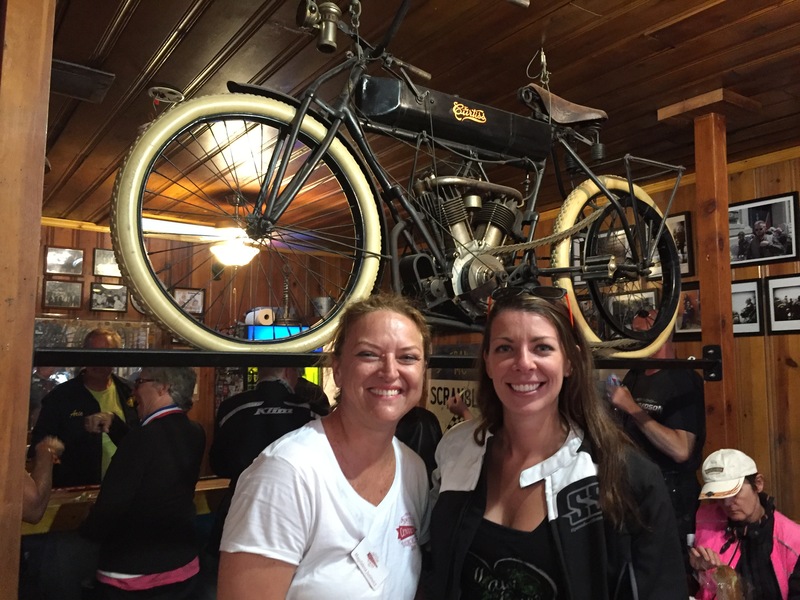 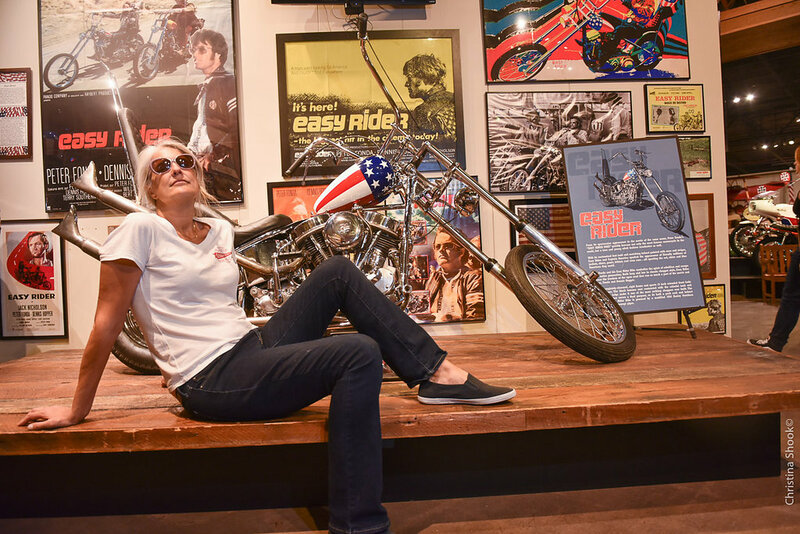 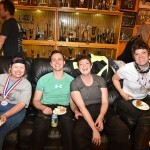 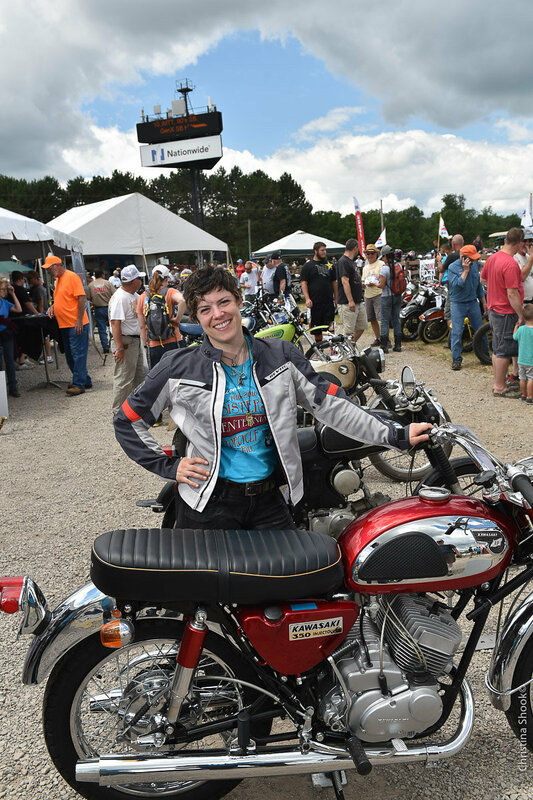 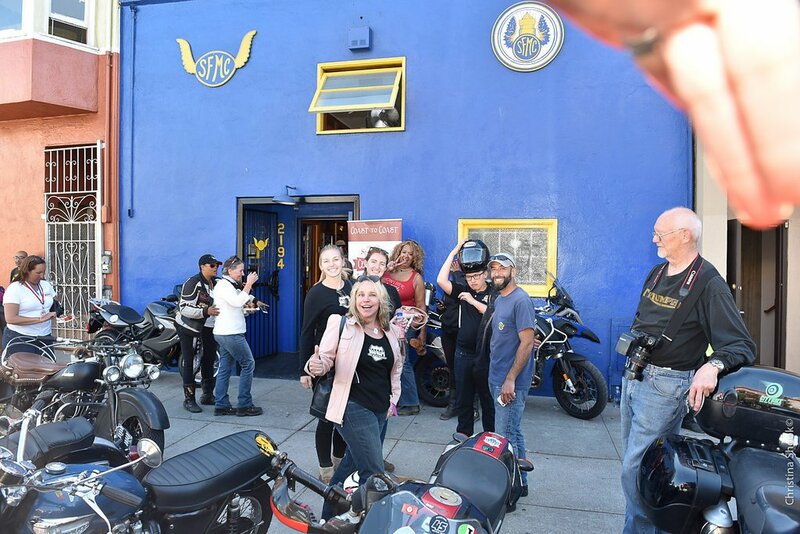 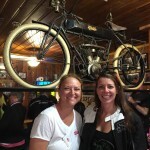 The Sisters’ Centennial Motorcycle Ride, presented by BMW Motorrad, was a century in the making and finally came to fruition when 68 women riders traveling coast to coast arrived at their destination with a warm welcome from the San Francisco Motorcycle Club. 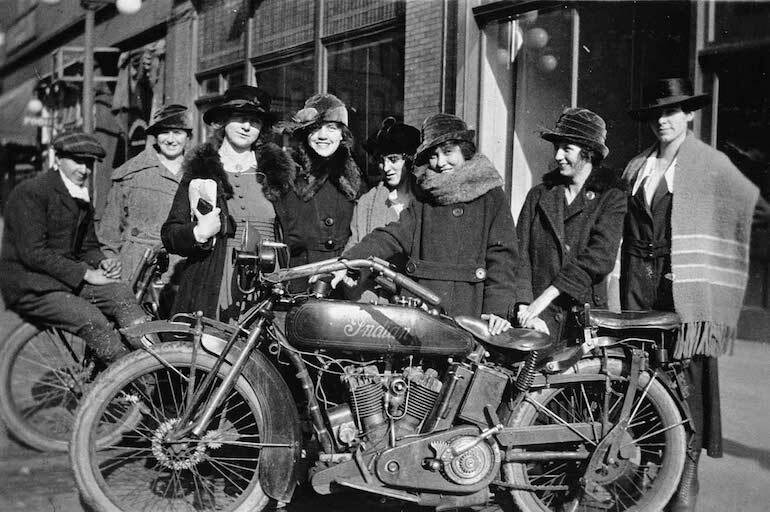 Members of the club were present to greet the group and happily accepted the duty of escorting the travelers through a city that had changed quite a bit since 1916. 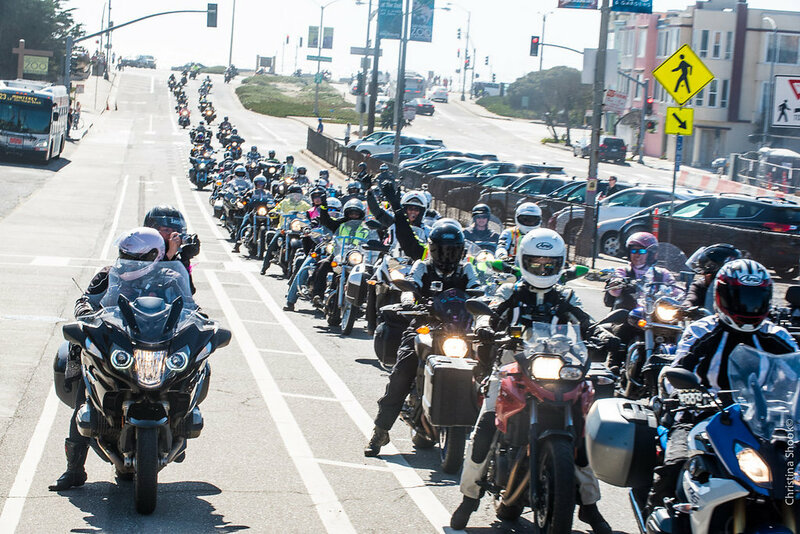 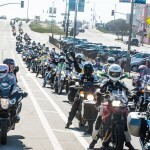 The coast-to-coast riders were joined by additional riders, including men, women, and children, who were all thrilled to be part of the historical moment. 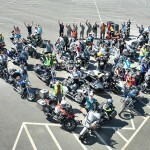 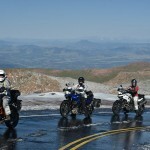 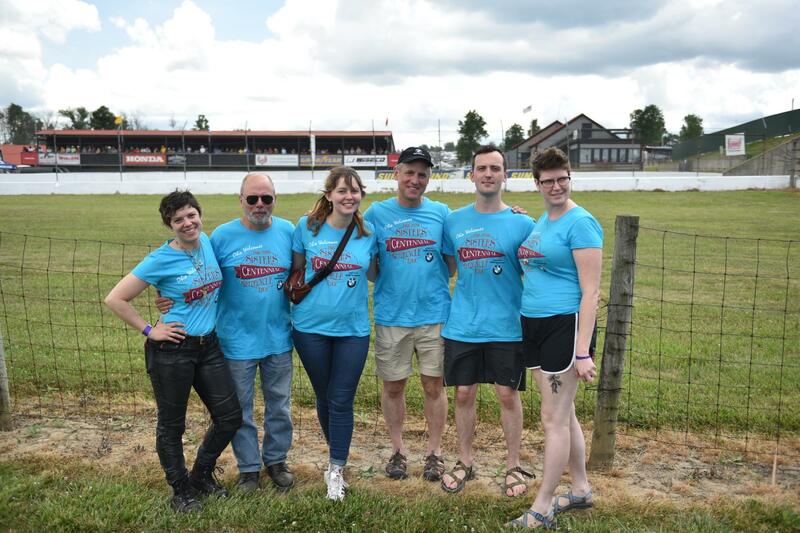 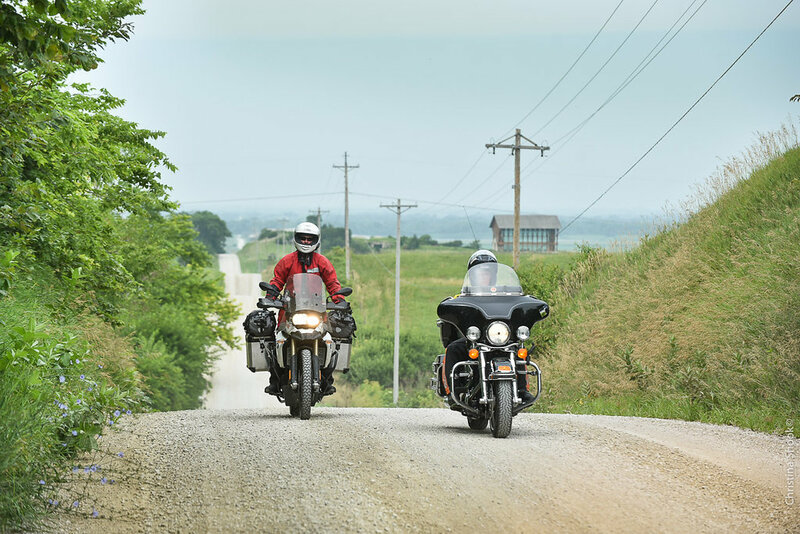 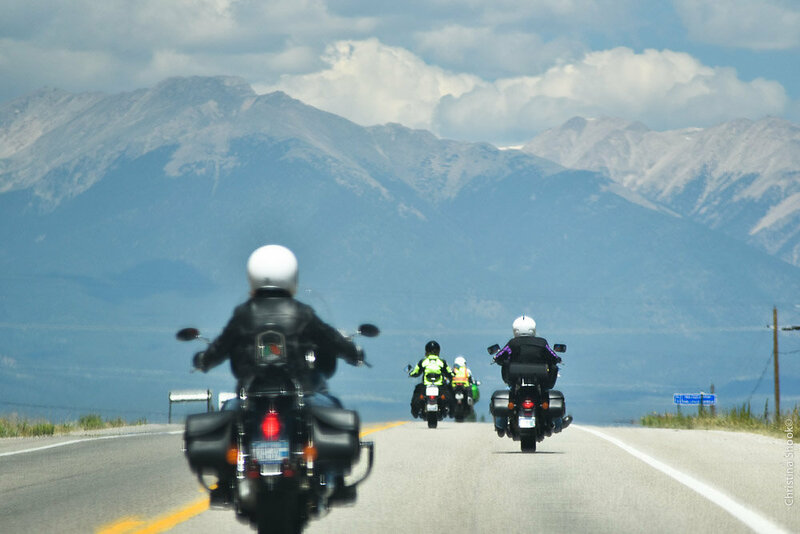 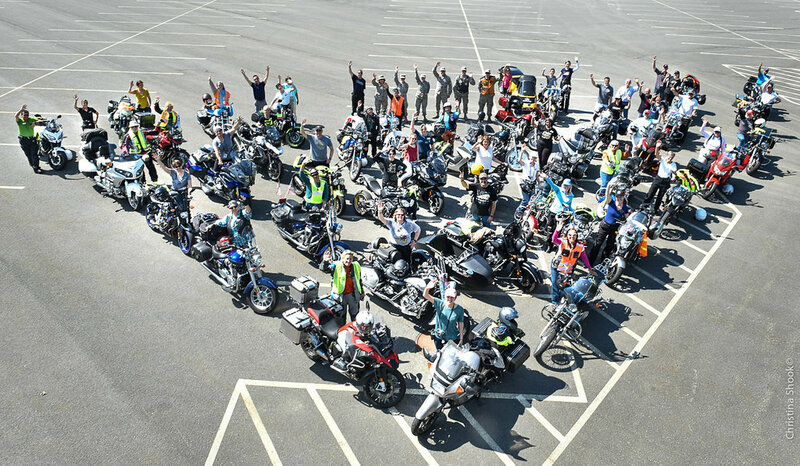 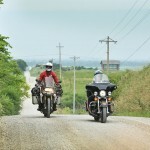 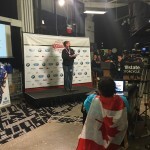 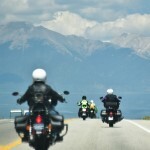 After three weeks on the road, 68 coast-to-coast riders were joined by supporters from across North America. 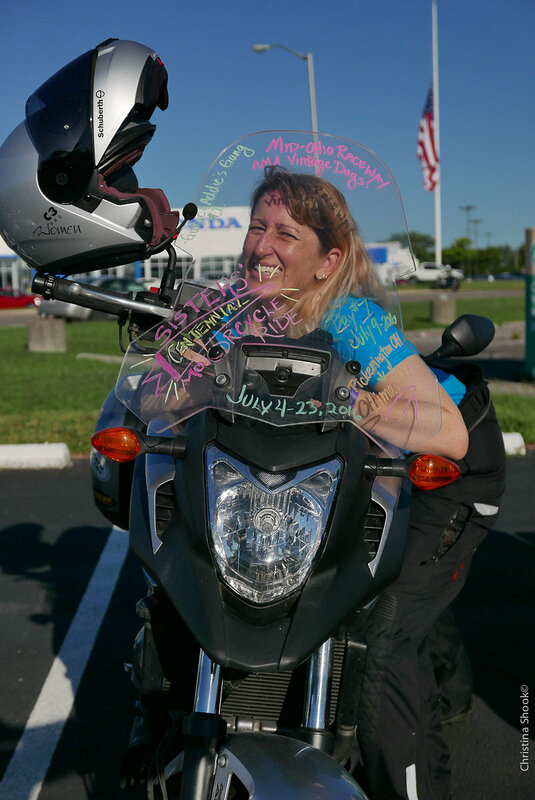 At the time of the original journey, Augusta was quoted saying, “Woman can if she will.” Her sentiment became the mantra for the female motorcyclists traveling a similar journey to that of the Van Buren sisters. 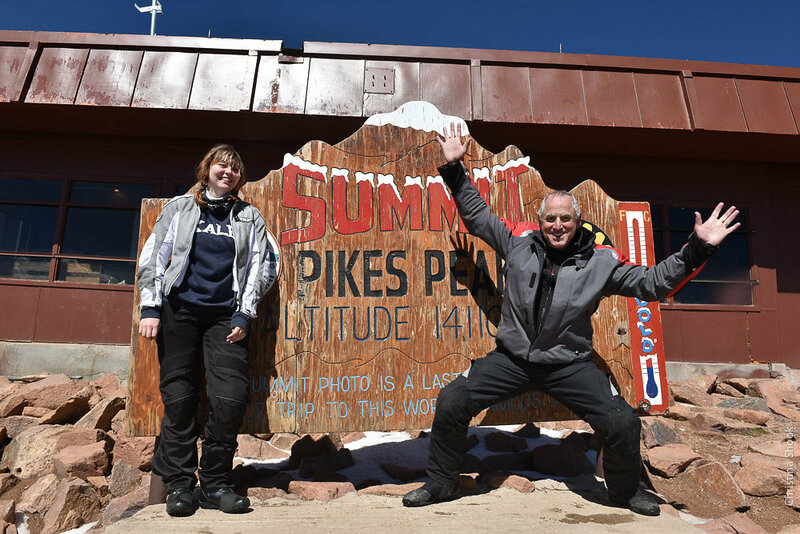 The experience was an emotional one, and for many a personal expedition of their own that tested limits, presented new challenges, and empowered them to do something many would never think of doing. 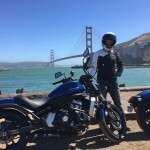 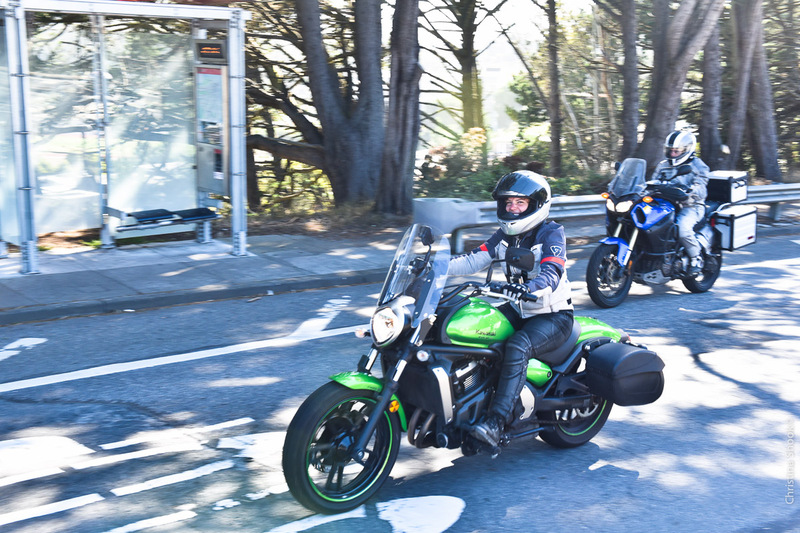 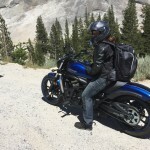 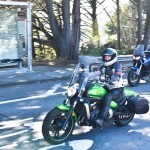 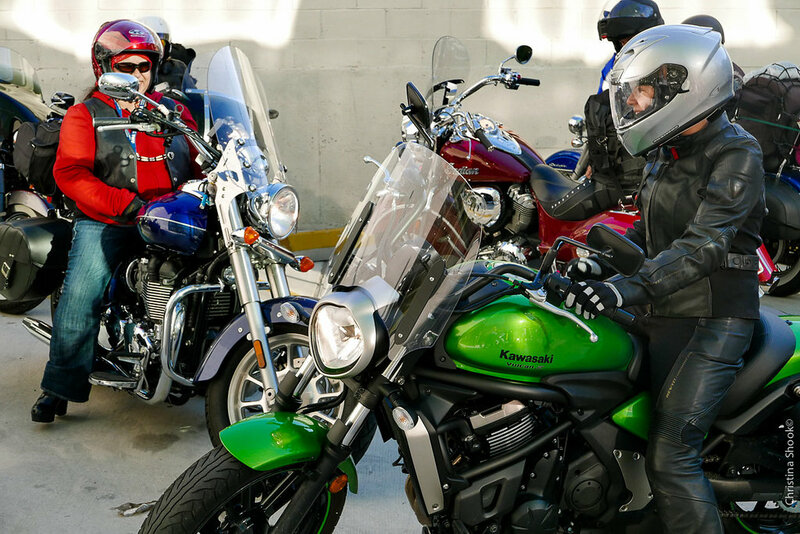 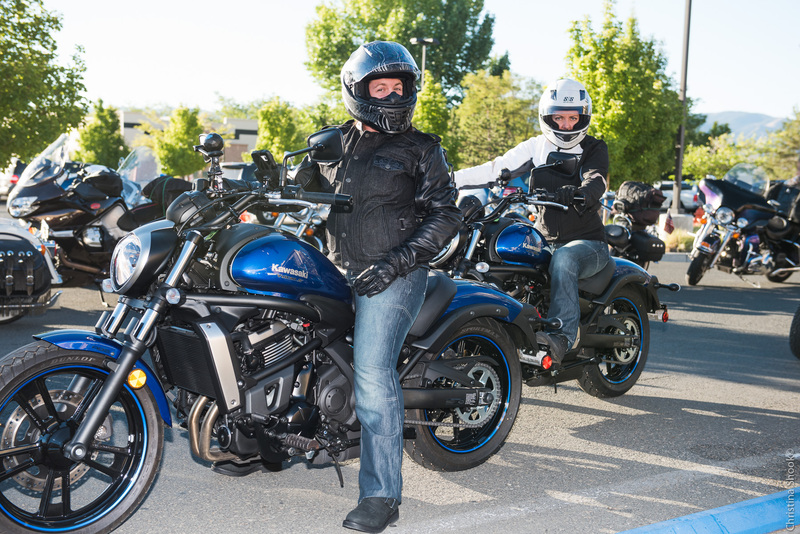 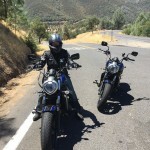 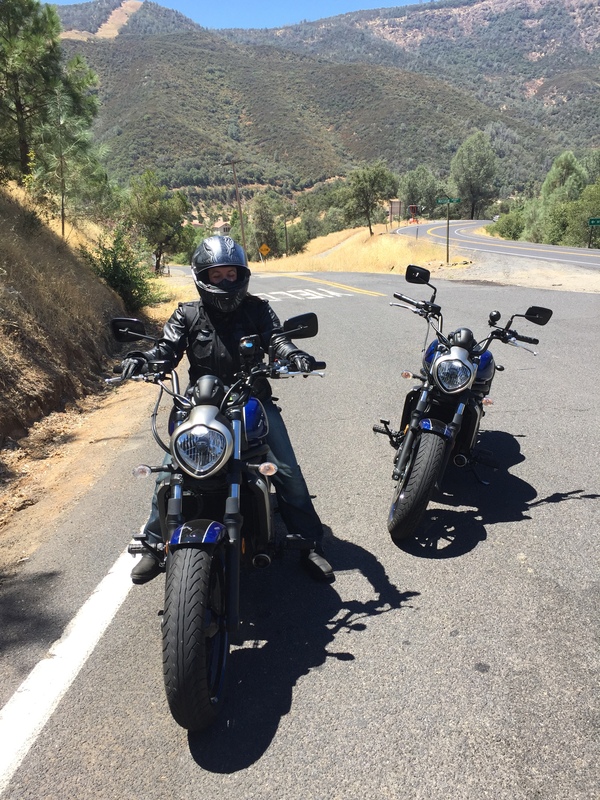 Riding a Kawasaki Vulcan S, I joined the last leg of the Sisters’ Centennial Motorcycle Ride, from Carson City, Nevada to San Francisco where I met up with women riders of all ages from various backgrounds on every make of motorcycle. 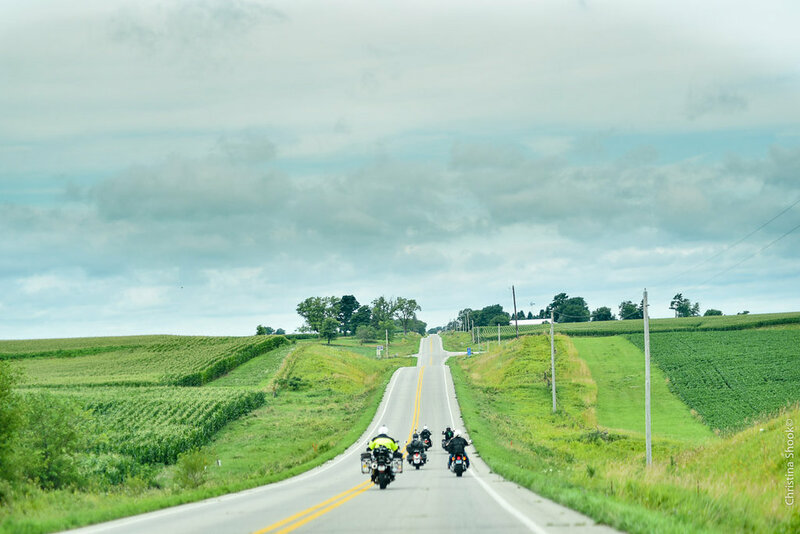 Many had saved for a year and taken a leave of absence from work to embark on the three-week journey. 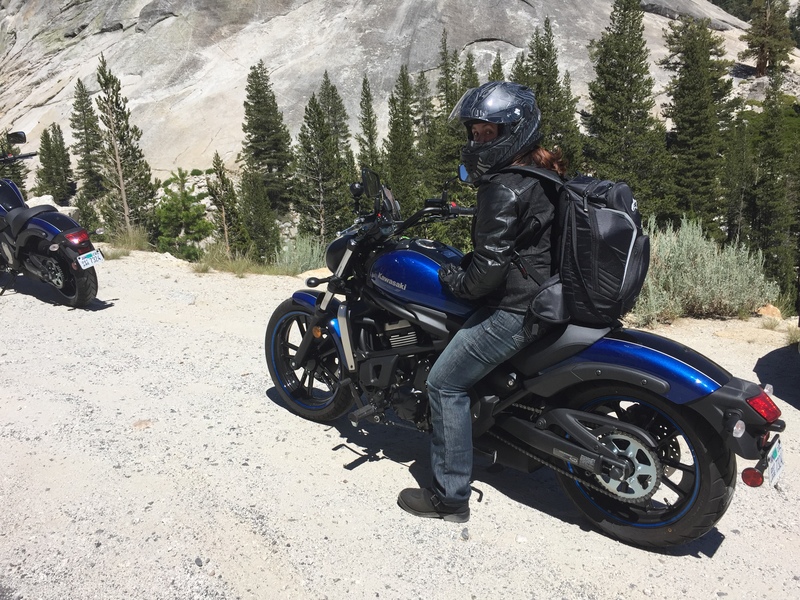 While taking a break in Truckee, CA, a spunky woman approached me stating, “Nice bike!” I learned that not only was this excited woman also riding a Vulcan S, but she had been riding it for close to three weeks from her starting point in New York City. 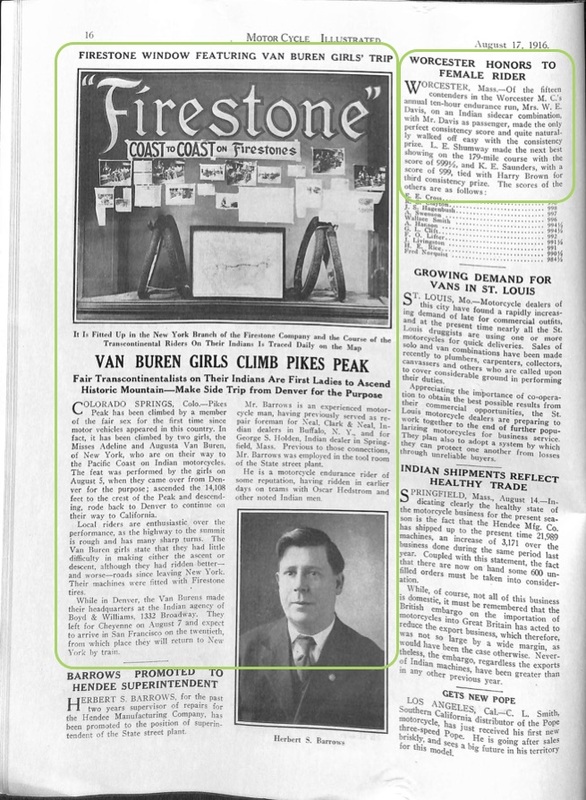 I also learned that this woman was Sarah Van Buren, great-grand niece of Augusta and Adeline. 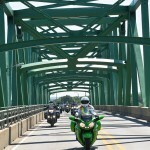 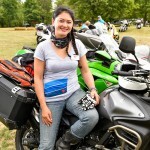 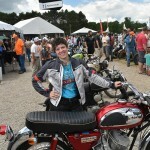 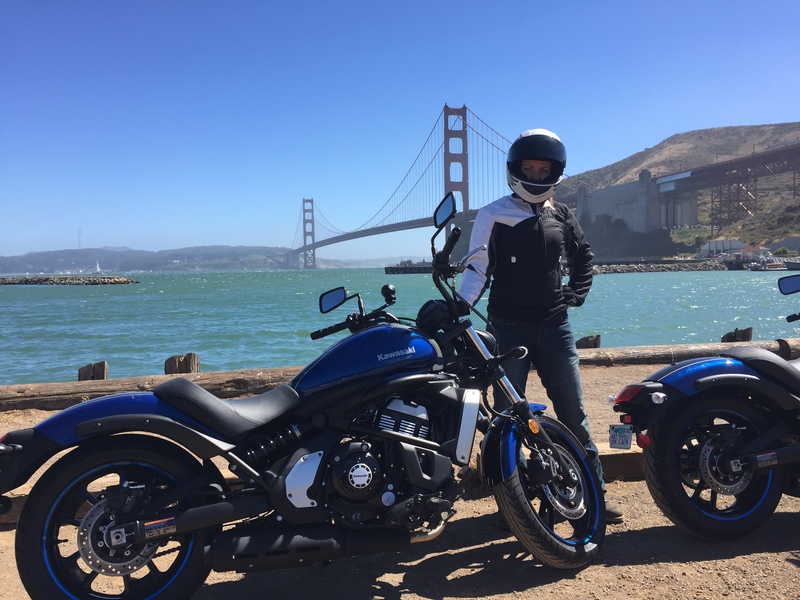 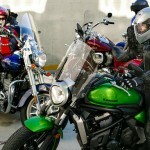 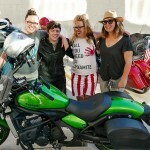 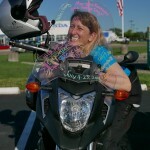 Sarah Van Buren rode a Kawasaki Vulcan S from New York City to San Francisco. 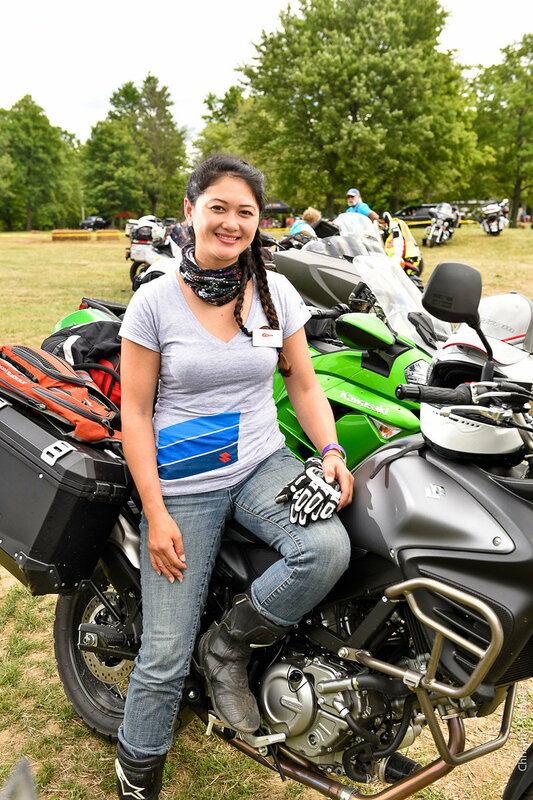 While talking with Sarah, I discovered she was a new rider, having just obtained her motorcycle license last spring in anticipation of the Sisters’ Centennial Ride. 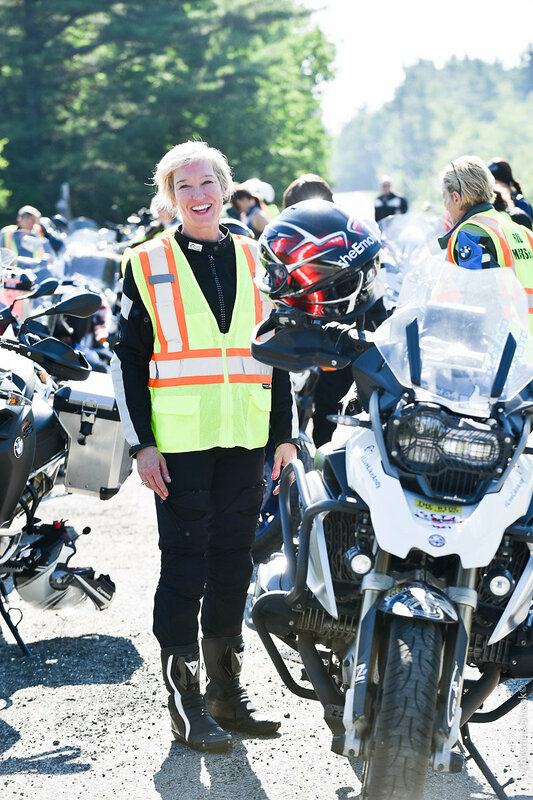 She joined other family members, including the Van Buren sisters’ grandson, great-nephew, and great-granddaughter on this once-in-a-lifetime journey. 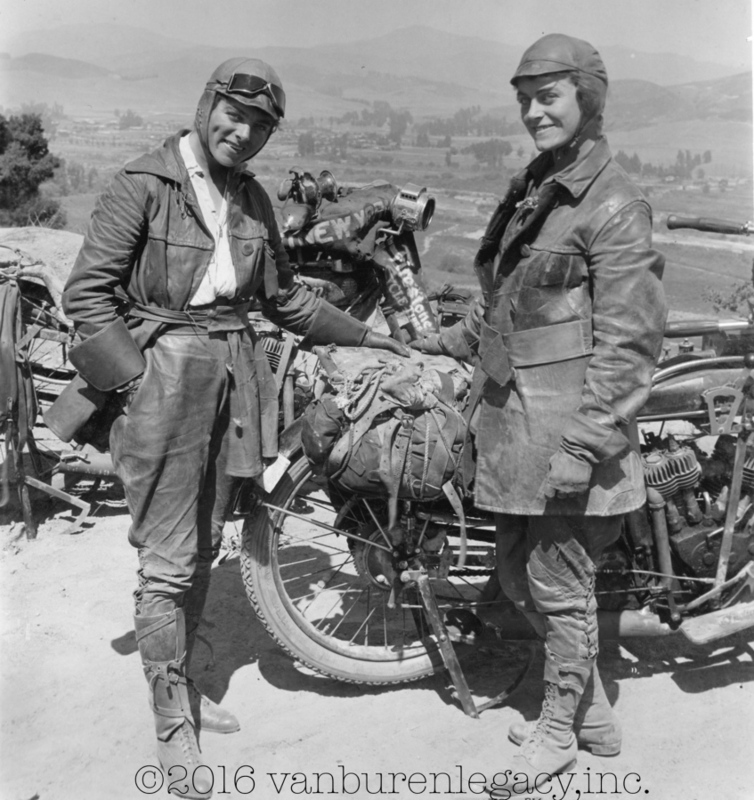 I couldn’t imagine what it felt like to travel a similar route Augusta and Adeline had traveled with extended family members. Sarah reported that the trip brought them all closer as a family; accomplishing new goals such as riding through snow to Pikes Peak, and across the Golden Gate Bridge with hundreds of other riders supporting what their ancestors accomplished a century before. From left: Sarah Van Buren (Great-Grand Niece), Robert Van Buren (Great-Nephew), Sophie Ruderman (Great-Granddaughter), Dan Ruderman (Grandson), Skyler Ruderman (Great-Grandson), Anna Bottcher (Skyler’s Fiance). 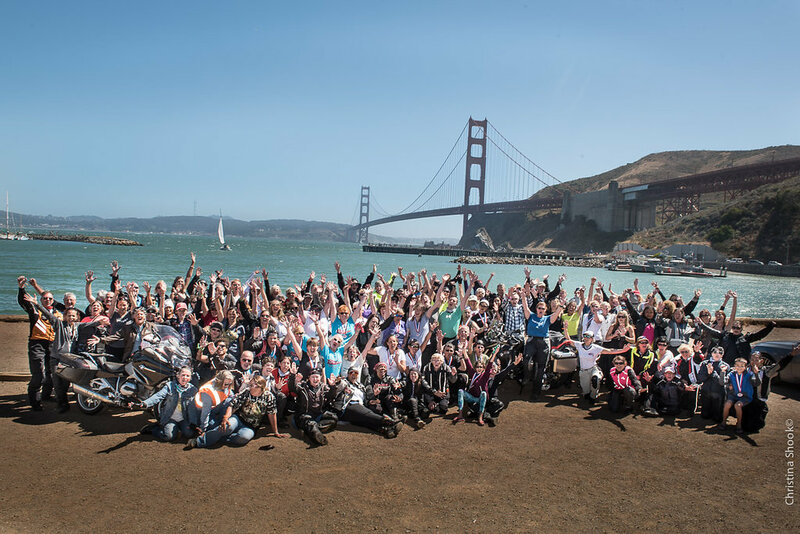 The journey concluded in San Francisco. 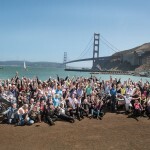 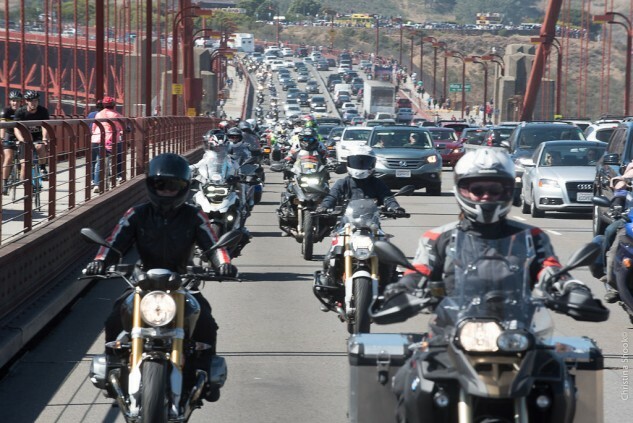 Sitting in the staging area, about to travel across the Golden Gate Bridge was an unreal moment for many in the group. 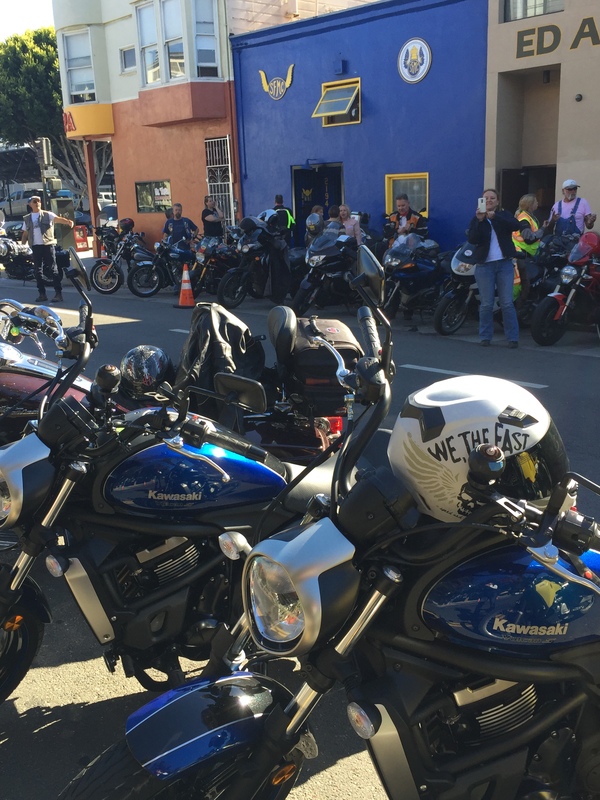 Looking around, I saw hundreds of riders and motorcycles waiting patiently to line up in preparation for that ride. 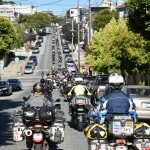 Some looked ahead quietly, mentally preparing themselves, while others excitedly revved their bikes or gave thumbs up. 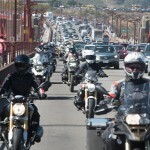 With tears in my eyes, I joined the group as we crossed the Golden Gate Bridge. 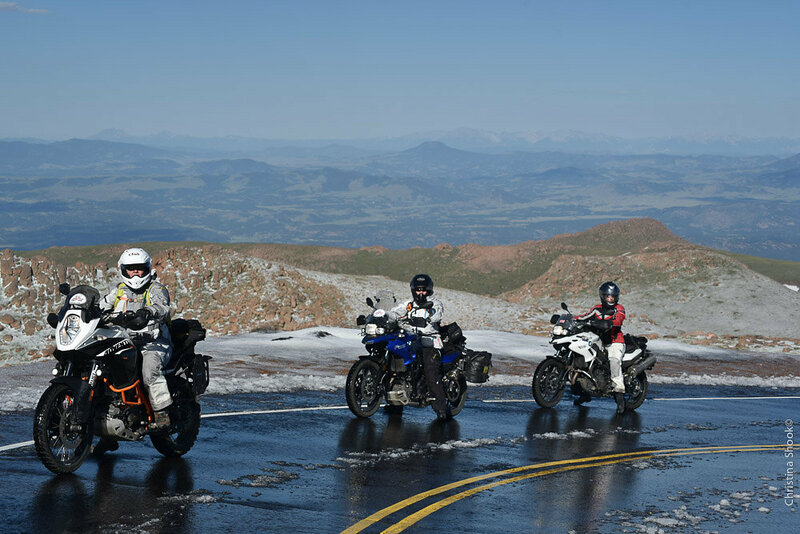 That feeling is hard to describe unless you were part of this trip. 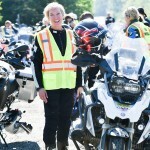 For me, I hadn’t traveled coast to coast, nor was I closely related to the Van Buren sisters; however, I suddenly felt part of the journey many of these riders have been on, and I felt like I became a part of the Van Buren family. 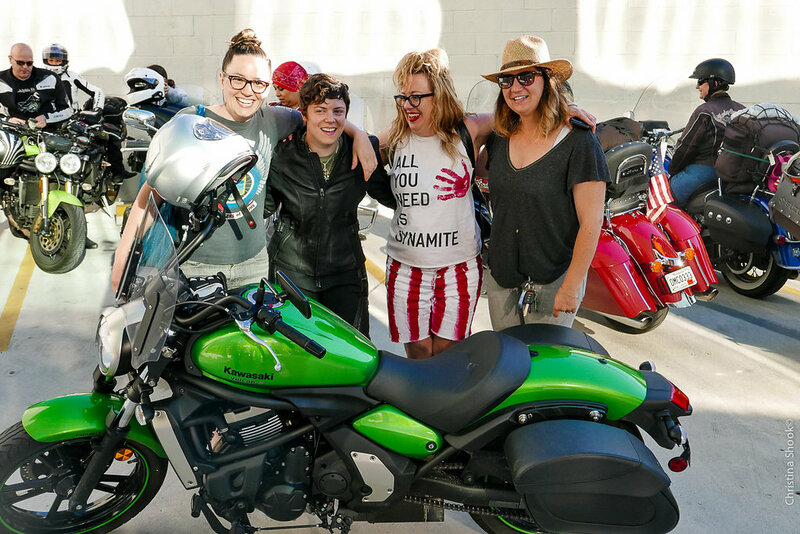 This was no longer just about the two Van Buren sisters, it was about a massive movement supporting women and motorcycle riders worldwide. 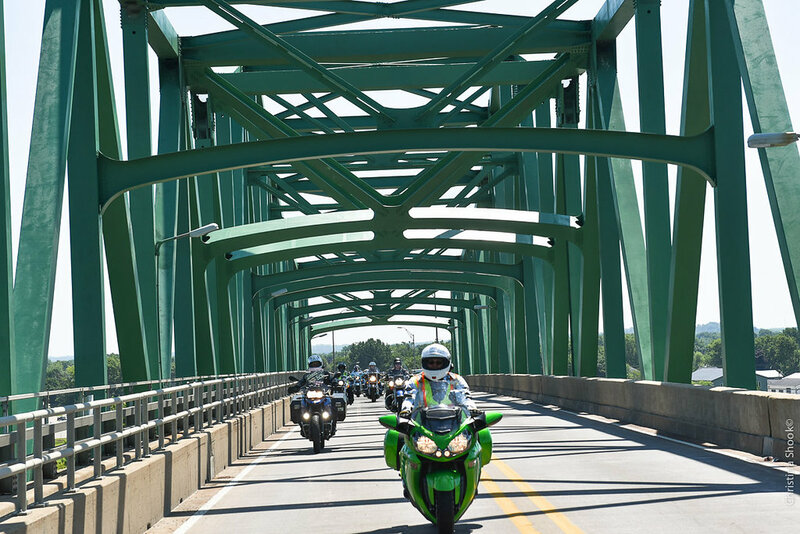 Images of women in the war, flying planes, riding motorcycles and voting crossed my mind as we crossed that bridge. 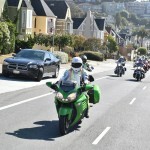 Through tears, I gave thumbs up to my fellow riders, beeped and waved to spectators, and just took in the entire experience. 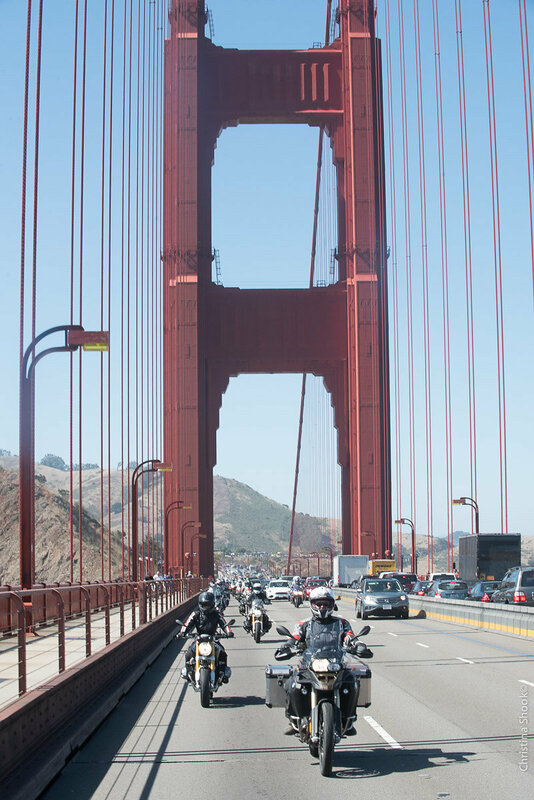 Riding across the Golden Gate Bridge as part of the the Sisters’ Centennial Ride was the experience of a lifetime for the author of this story. 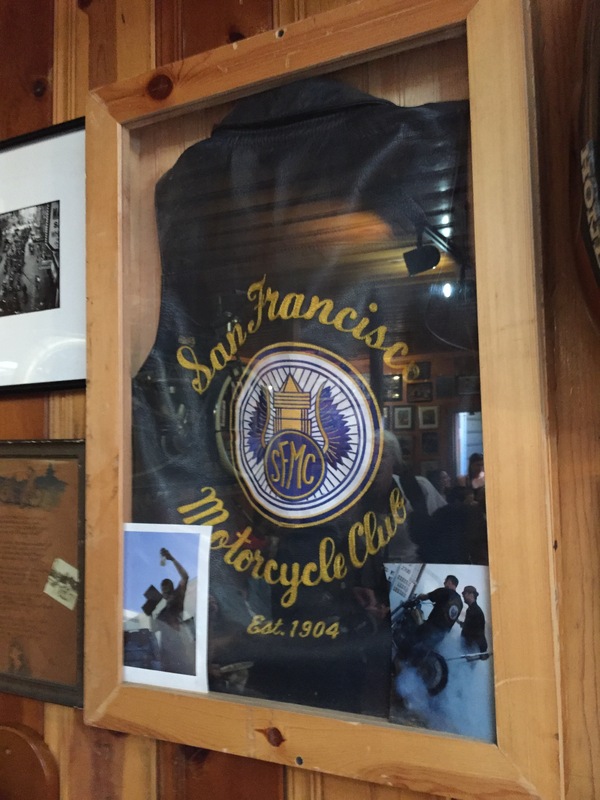 After a tour through San Francisco, the group was welcomed to the San Francisco Motorcycle Club for refreshments and good conversation. 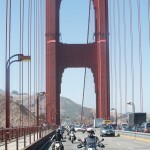 I checked in with Skyler Ruderman, Adeline’s great-grandson, and asked him what it was like riding across that bridge. 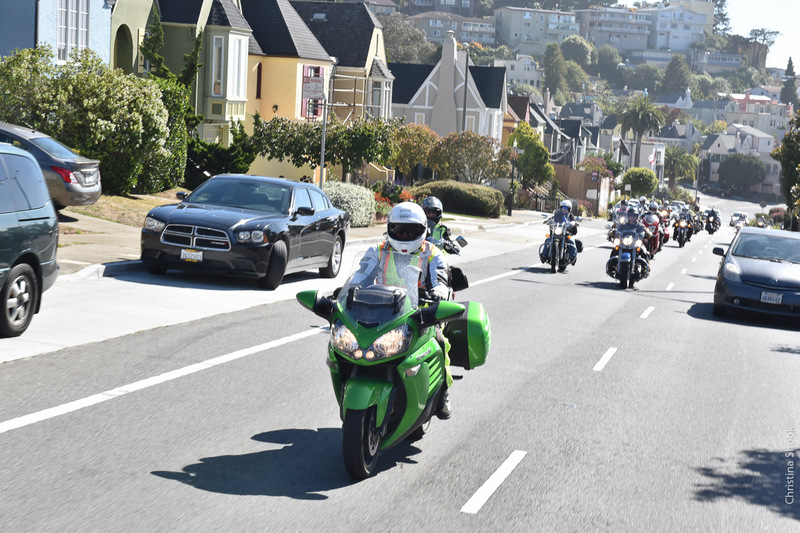 With tears in his eyes, he told me that it was an emotional experience that he will never forget. 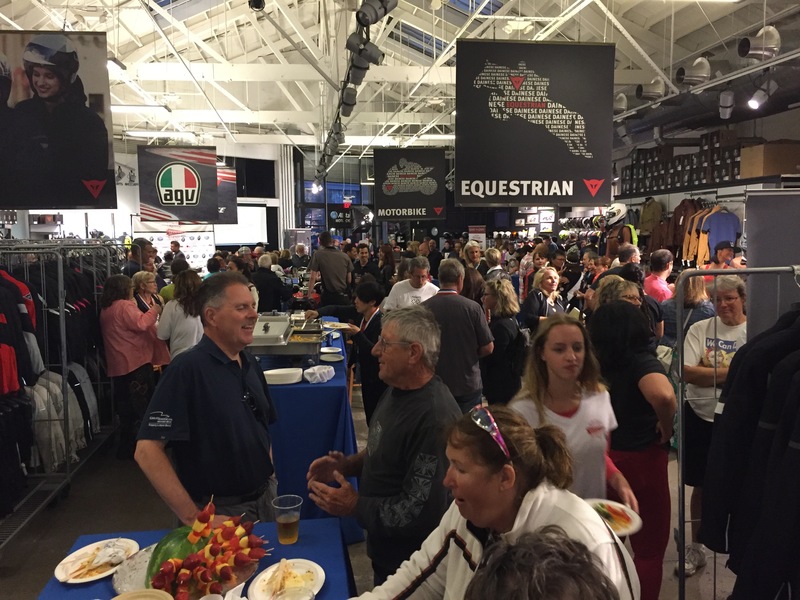 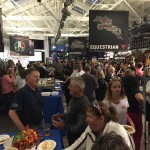 Following refreshments, riders then attended the grand finale party at the Dainese D-Store in San Francisco. 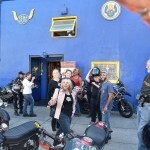 The night was filled with excited chatter about the ride through San Francisco. 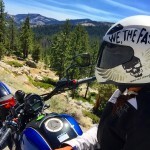 I heard so many epic stories about the coast-to-coast trip, including from one rider who had broken down but still managed to rent a car, and then find a motorcycle so she could finish the trip on two wheels. 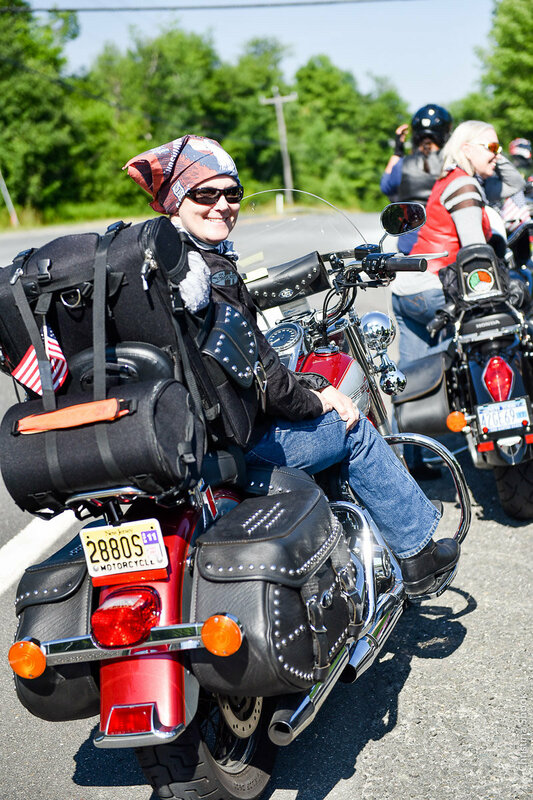 Coast-to-coast riders proudly wore medals around their necks to symbolize their triumphs and tribulations of the trip. 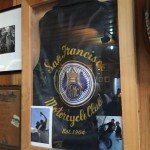 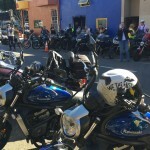 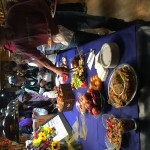 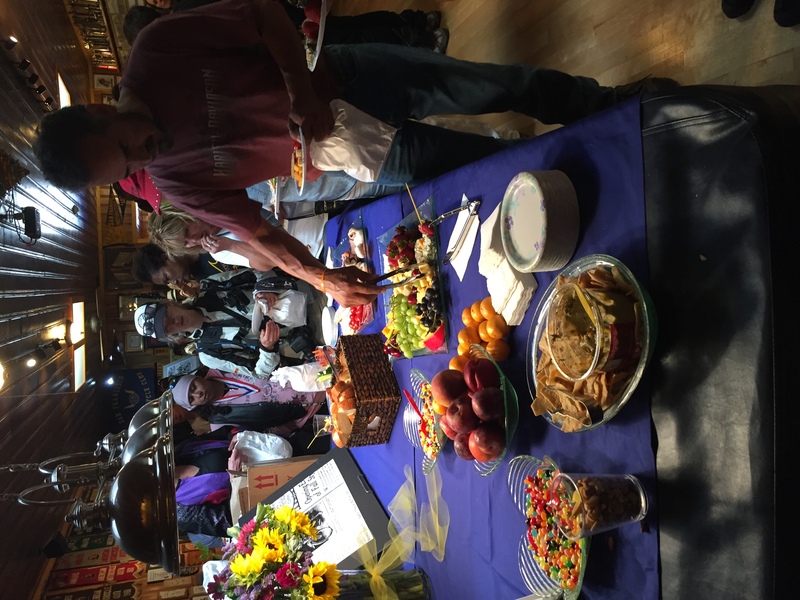 Riders were welcomed to the San Francisco Motorcycle Club for refreshments and good conversation. 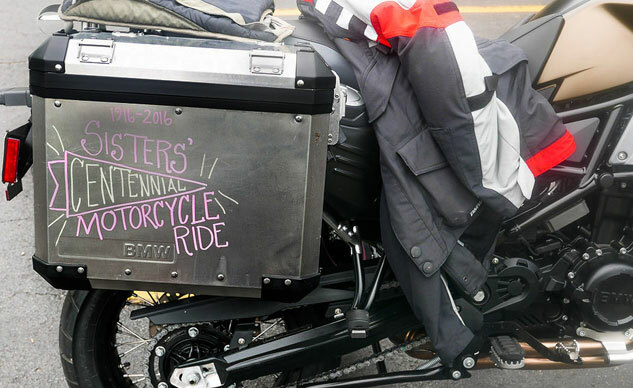 That night, there wasn’t a dry eye in the room as the Van Buren family shared some personal triumphs and challenges, and as ride organizer, Alisa Clickenger, was presented with a proclamation from the County and the City of San Francisco. 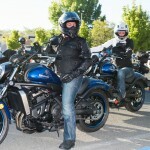 Funds were also donated from registration fees to the Women’s Coalition of Motorcyclists and Final Salute Inc. 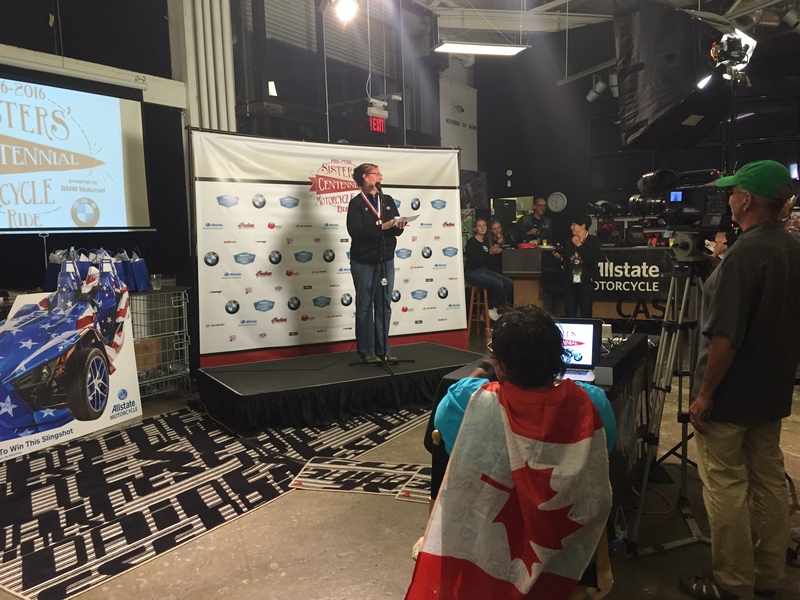 It was Dan Ruderman, Adeline’s grandson, who talked about how his grandmother was with him this entire trip. 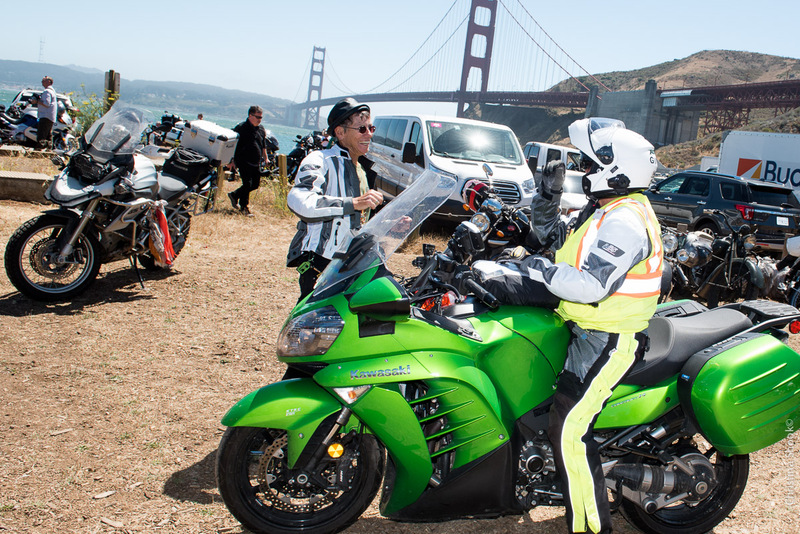 “I spent a lot of time with Adeline in my helmet this trip,” he said. 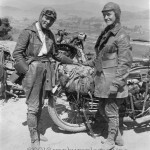 Somehow, I think Adeline and Augusta were with us all in one way or another. 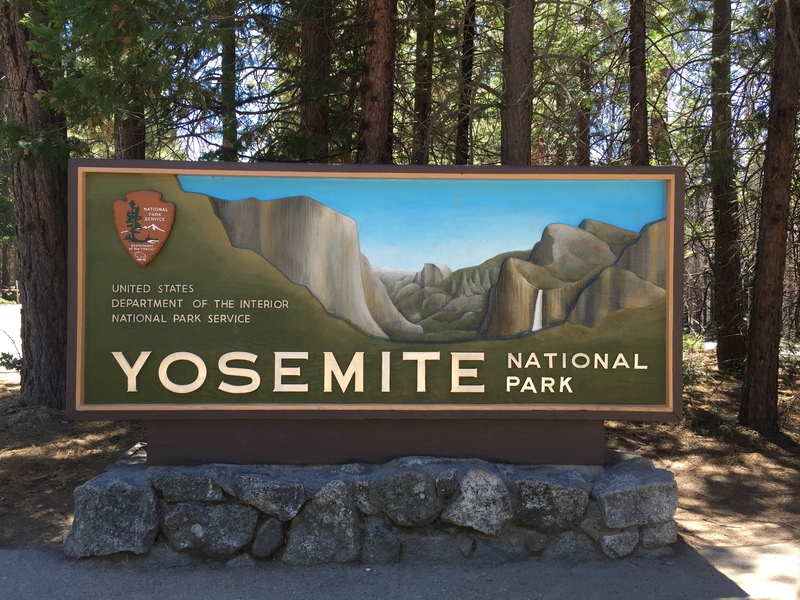 My journey took me back to Nevada through Yosemite National Park, and it was an opportunity to reflect on the past few days. 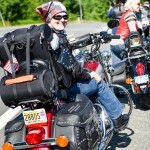 Riding with my friend, Joslyn, we both took in the views and scenery of the park while mulling over what had transpired. 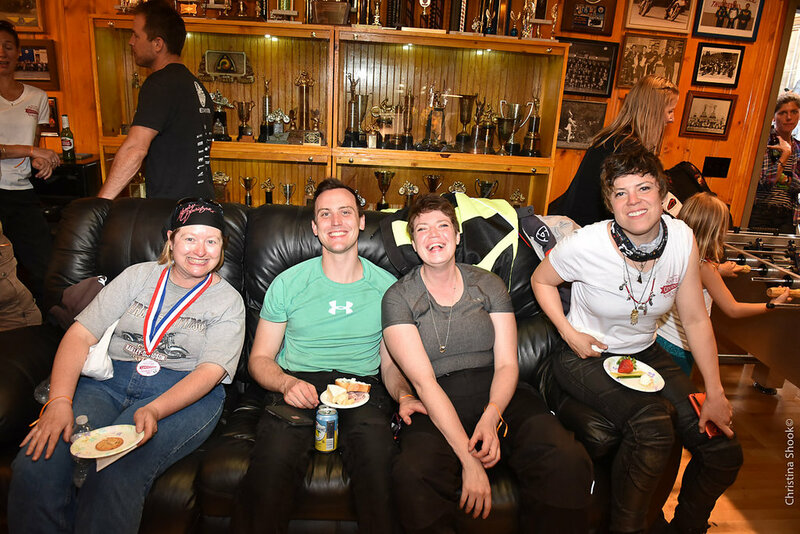 There’s no doubt that the past few days had been a complete whirlwind of events, but within that whirlwind were some great memories that I will remember for a lifetime. 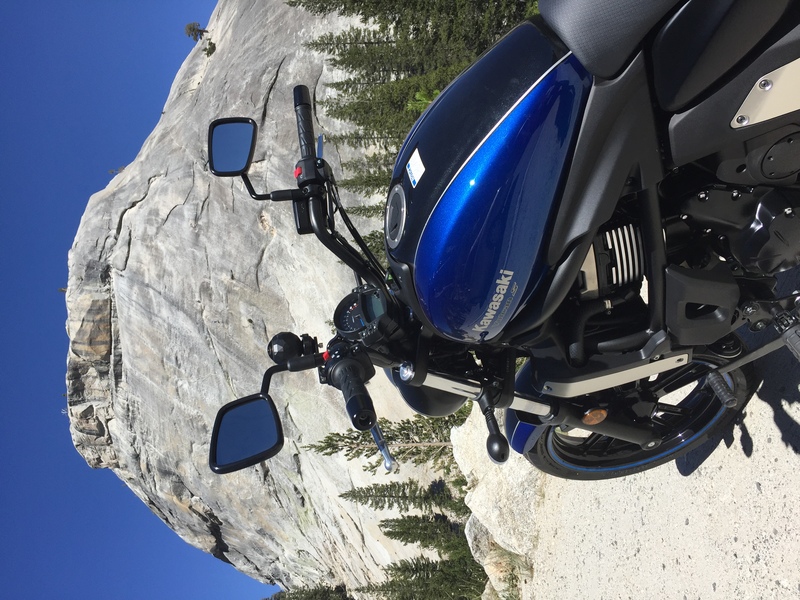 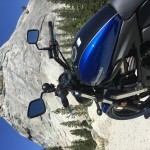 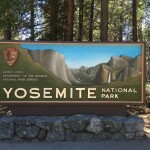 The ride through Yosemite National Park was an opportunity to reflect on the past few days. 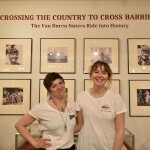 Those Van Burens were in our thoughts and hearts while we were on our trip, the two sisters who took it upon themselves a century ago to challenge, persevere and accomplish what no woman had yet done. 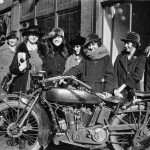 It was Augusta and Adeline Van Buren who created awareness around the women’s suffrage movement at a time when women did not have the right to vote until 1920. 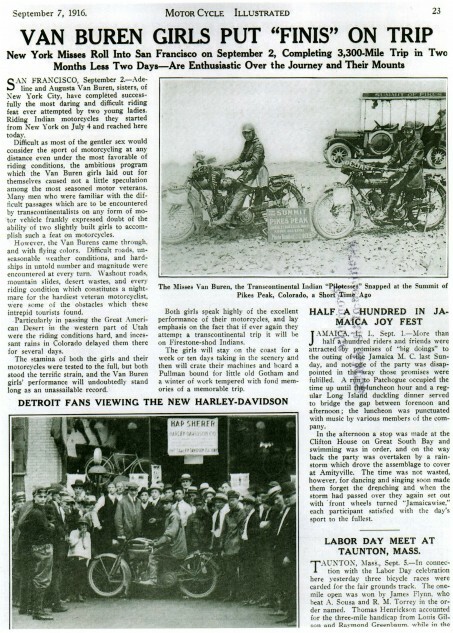 One hundred years ago, women weren’t even permitted to wear pants, which led to multiple arrests during their trip for adorning men’s clothing. 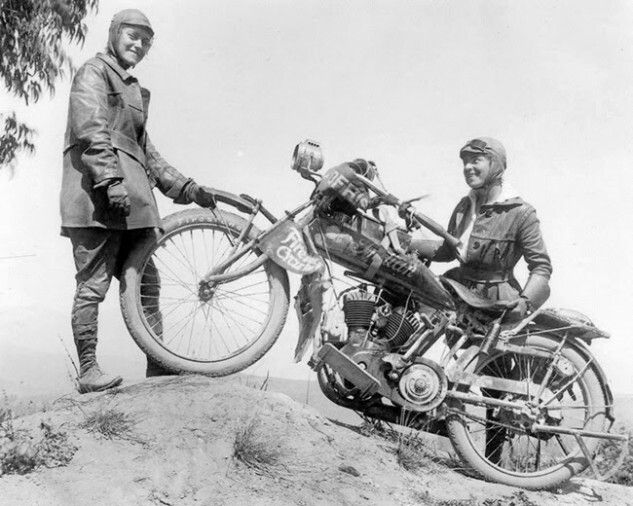 Despite some of the issues that occurred on their adventure, these women were able to navigate Pikes Peak, reaching an altitude of 14,115 feet on unpaved road on 1915 Indian motorcycles. 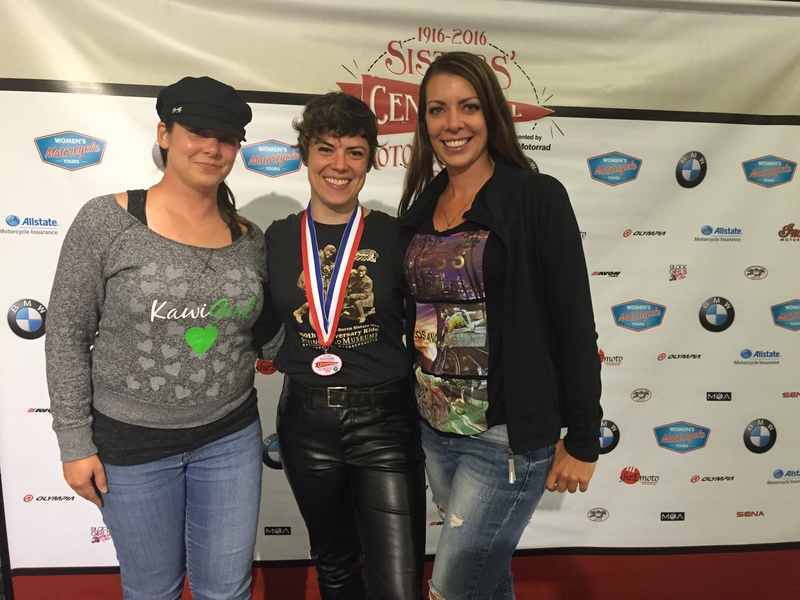 If there is ever something in your life you think you cannot do, just remind yourself of these women to help you overcome any challenge. 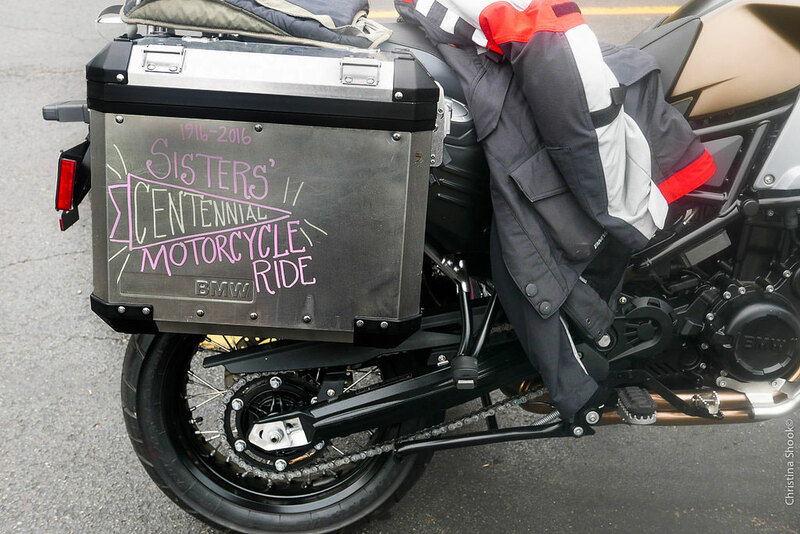 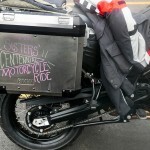 For information about the Sisters’ Centennial Ride, visit SistersMotorcycleRide.com or use the @SistersMotorRide, #SistersRide hashtag.